Struggles test us all, but readers will find counsel and reassurance in these devotional stories of faith, strength, and prayer, providing a boost and reminder of God’s ever-present love during difficult times. Life has always been filled with trials, including illness, job loss, grief, addictions, and much more. God never promised that our earthly lives would be without difficulties, but He assured us that He will always be with us to share our burdens. 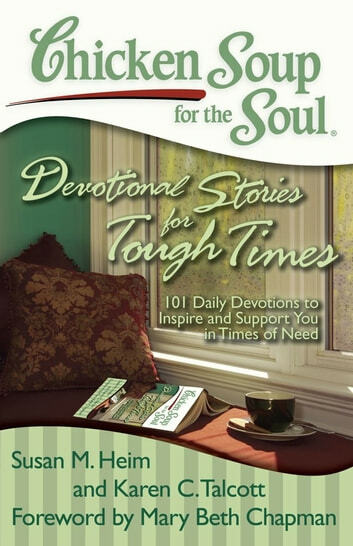 Chicken Soup for the Soul: Devotional Stories for Tough Times is filled with stories that show God's presence during a time of trouble. 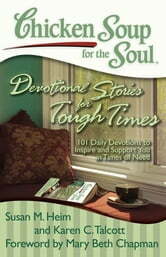 Readers will find encouragement, solace, and strength in these personal stories and prayers.